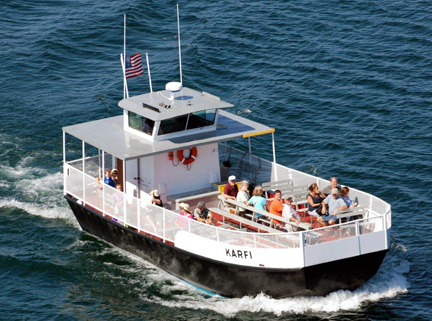 Karfi is a 45 passenger ferry that operates daily from late May to early October; carrying campers, hikers, day visitors and gear to from Jackson Harbor on Washington Island to Rock Island State Park. Be sure to visit our website for more information. We cant wait to see you!